Odds are you won't have the chance to buy a Vivo Nex S. The company is only selling the phone in China despite the really neat pop-up camera. You can at least see how durable it is thanks to the latest JerryRigEverything video. It turns out, surprisingly durable. The Nex S has slim bezels all the way around, but there's no screen notch for the camera. Instead, there's a small motorized block that pops up when you want to take a selfie. That's one of the first things to get some abuse in the video, but it seems quite robust. The block doesn't wobble, and if you press it down, it either pops back up or automatically retracts depending on how much force you apply. If you try to grab the camera when it's retracting, the mechanism still has enough power to pull free of your grip. Impressive. The rest of the JerryRigEverything video proceeds in the usual way. The screen is tempered glass, a lighter damages the OLED pixels, and the frame is confirmed as aluminum. Okay, so what about the bend test? 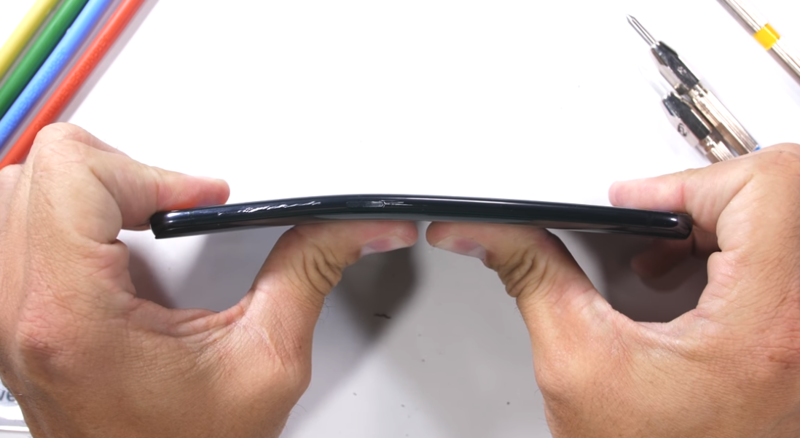 The Nex S bends, but it does not break. There's no screen damage, and the frame is just a little warped. So, it passes the JerryRigEverything test even with that motorized camera.